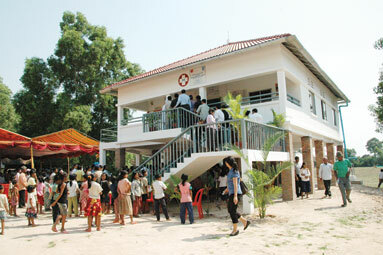 The new Svay Chek health centre can treat more than 5,000 patients a year. The operators of a new health centre in Siem Reap’s Angkor Thom district say it can provide medical treatment to more than 5,000 patients in the town’s northwest each year. The result of a joint project between Plan International Cambodia and the Siem Reap Provincial Health Department, the Svay Chek commune health centre will provide general medical services with a focus on special care for pregnant women and children under the age of five. Plan International Cambodia communications manager Mom Chantara Soleil told The Phnom Penh Post the organisation decided to construct the Svay Chek health centre following the publication of a report by the Siem Reap Provincial Planning Department which found up to half of the 28 deaths of women and children in the area last year were due to preventable causes. “After seeing an increase in the number of deaths during 2010, Plan International decided to build a health centre to provide specialised medical treatment to the groups most affected,” he said. The Svay Chek health centre is now the second supported by Plan International Cambodia, following the construction of the Prey Health Centre in Srei Snam which opened in June 2009. The Prey Health Centre has previously won national recognition from the Cambodian Ministry of Health which recently named it as the best performing health service in Siem Reap. The centre beat more than 60 other health clinics to win the title, which the ministry awarded on the basis of its user-friendly facilities and effective round-the-clock service. Dr Chey Dara, the Ministry of Health technical coordinator for Siem Reap province, told The Post that Cambodian health authorities are engaged in ongoing projects to reduce the mortality rate of children and pregnant women in the area. According to a 2010 profile of Siem Reap Province published by the Provincial Planning Department, the mortality rate for pregnant women in the region is 151 for every 100,000, and 8 in 1,000 for children under the age of one month. Plan International’s Mom Chantara Soleil told The Post that reducing the child mortality rate in the district was an important goal of the health centre, which opened last Friday. Mom Chantara Soleil said the health centre will also focus on HIV/AIDS prevention as well as provide treatment for illnesses including respiratory infections, malnutrition, dengue fever and diarrhea. Soleil added that the centre will also provide counseling and neo-natal monitoring services for expectant mothers as part of its mission to provide affordable quality care. The Svay Chek commune health centre is 22 kilometres from Siem Reap, and was constructed over a one-year period from December 2009 to 2010 at a cost of roughly US$100,000. 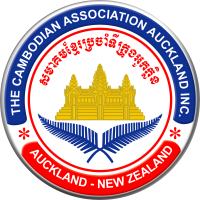 Funding for the centre was provided by Plan International Cambodia and pharmaceutical company GlaxoSmithKline in cooperation with the Siem Reap Provincial Health Department.